If you ask most people how they heard about their last or current job, very few would say they answered an advertisement as most jobs are within the unadvertised jobs market. Advertised jobs only constitute a small portion of the total number of job vacancies. In fact, most persons would say they heard about their last job from someone they knew (or were introduced to). Given the current economic climate, many companies have reduced their advertising budget. They have found that it is easier and cheaper to recruit from other sources and save money by cutting back on advertising because they already have access to so many resumes. 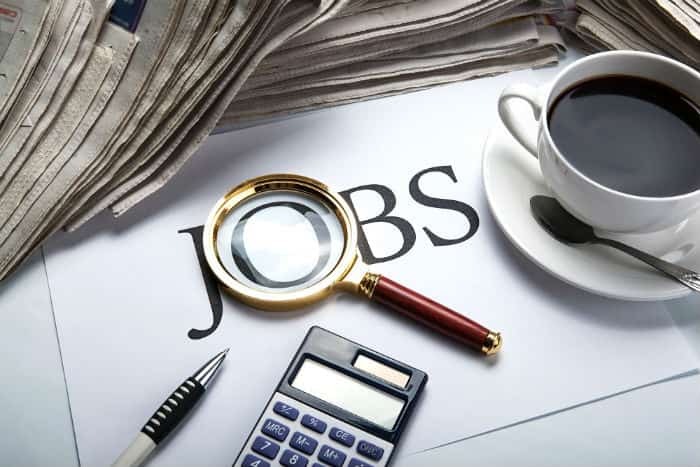 Job seekers have no knowledge that the positions advertised in the press and online are really only the tip of the iceberg in relation to the total number of jobs available. This is especially true for senior executives in the global market. The higher up the organisational chart you go, the longer it usually takes to find a new position, partly just because there are fewer jobs up there. This means that if you are looking for your next senior executive position, tackling the unadvertised jobs market or alternatively called the hidden jobs market, it is likely to be a productive use of your time. Many experts agree that the key to identifying new job possibilities is through networking. In order succeed in today’s job market, it is absolutely critical that you build relationships with recruiters and meaningful people in your industry. You cannot rely on tapping into the unadvertised job market by simply attending local events. Think outside the box with your networking and utilise all of the tools and resources available to you. Research shows that organisations and companies, even within the UK use social media as a key part of their recruitment strategy and are very active on multiple social media platforms. You can stand to benefit from connecting with them on these platforms. For the purpose of tapping into the unadvertised jobs market, focus on LinkedIn and Twitter. Those two platforms tend to get the most job market engagement with employers, hiring managers, and recruiters. With over 467 million members (and growing all the time) worldwide, the LinkedIn professional community is a perfect venue to network with people, recruiters and companies all over the globe. Advertising yourself online via sites such as LinkedIn is essential for any senior executive who wants to network and be visible to others in their business community. The site has many interest groups that are occupational or sector based. These not only act as a useful information resource, but are also frequented by recruiters and job agencies that use these sites to source candidates. Besides having a great professional profile picture, it is important to also have a recruiter friendly LinkedIn profile with a strong professional headline. A keyword-rich profile written in a narrative, conversational style works well on LinkedIn and will attract senior executive recruiters who use the platform to search for candidates. Be sure to use plenty of keywords and phrases that relate to your particular skills set and experience. Recruiters routinely search LinkedIn looking for candidates for their unadvertised jobs. As such, having a well-written profile ensures they can easily find your details and contact you. There are hundreds of professional networking groups on LinkedIn covering almost every job category and profession. Join some of these groups and actively participate. Mention in your introduction that you are looking for work; other members may get in touch if they have a suitable opportunity and, by participating in conversations, you will also pick up useful information about possible openings. Twitter is also an excellent source of jobs. Jobs are not advertised conventionally but a quick search will demonstrate that there is plenty of tweets between job seekers and recruiters. It is easy to join Twitter and start following potential employers and their recruiters. You can make direct contact with any other subscriber and have a chance to tweet the managing director or recruitment manager of an organsation about any suitable vacancies. Importantly, be sure to include the link to your LinkedIn profile when you do so. You may not always get a response, but Twitter is a friendly platform and some senior managers may be impressed by your initiative. Send us a message to learn more about how to navigate the unadvertised jobs market as a senior executive.